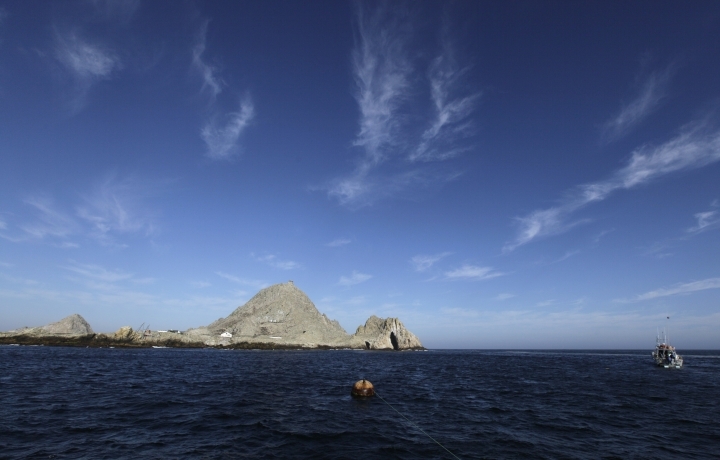 The rainwater collection system is broken at the environmental research station on a remote, rocky Pacific island off the California coast. So is a crane used to hoist small boats in and out of the water. A two-year supply of diesel fuel for the power generators is almost gone. U.S. Fish and Wildlife Service personnel ordinarily would help with such problems. 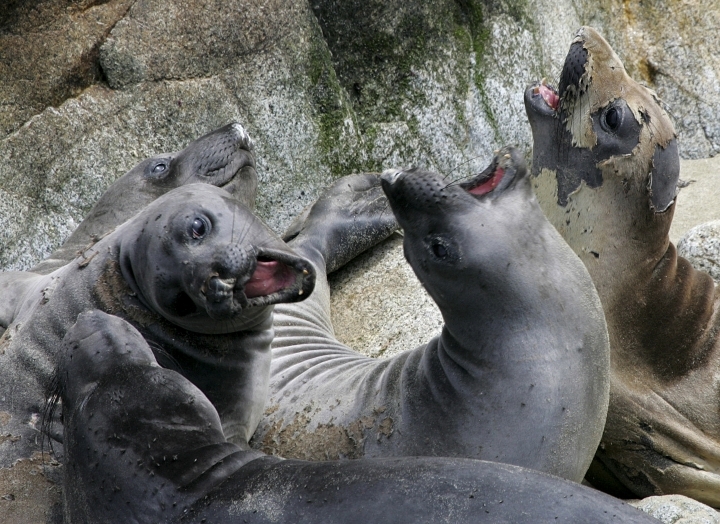 But they haven't been around since the partial federal government shutdown began a month ago, forcing researchers with the nonprofit Point Blue Conservation Science to rely on volunteers to haul bottled water and 5-gallon (18-liter) jugs of diesel to the Farallon Islands National Refuge, about 30 miles (48 kilometers) from San Francisco. Still, the scientists are pressing on with their long-running study of elephant seals during the crucial winter breeding season. They tag and monitor the lumbering creatures, whose numbers are recovering after being hunted to near-extinction, and study how warming oceans could affect them. "We've found some creative solutions, but things will get more strained the longer the shutdown is continued," said Pete Warzybok, a marine ecologist with Point Blue. The impasse has delayed, disrupted and now threatens to derail environmental research projects across the nation — and not just those conducted by government agencies. Scientists with universities, nonprofit organizations and private companies say their inability to collaborate with federal partners, gain access to federal lands and laboratories, and secure federal funding is jeopardizing their work on a vast array of subjects, including invasive and endangered species and air and water quality. Researchers might miss court-ordered deadlines for reports involving endangered plants or animals. Warm-weather field studies that must be planned months in advance could be delayed or canceled. And studies that rely on strict monitoring or testing schedules could be compromised. Depending on how long the shutdown lasts, the damage could range from inconvenient to irreparable. 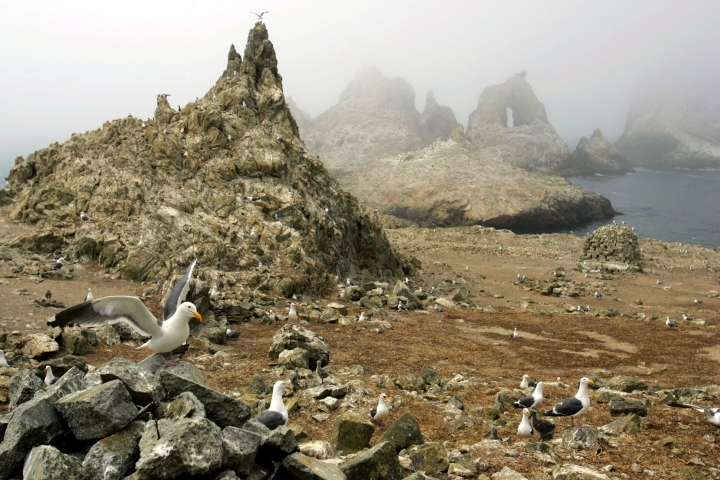 Scientists with a constant presence on the Farallones since 1968 might have to leave if their agreement with the government isn't renewed by the end of March. Besides opening a gap in decades of data collection, their absence would leave the islands and their wildlife vulnerable to trespassers. Nobody from the U.S. Fish and Wildlife Service was available to respond because employees are not allowed to work during the shutdown, according to voicemail messages. Scientist Harvey Bootsma needs to book a National Park Service boat for summer experiments involving quagga mussels in Lake Michigan, where the invasive pests are suspected of causing a decline in perch, whitefish and other prized species. If the government doesn't reopen soon, "it could really mess us up," said Bootsma, of the University of Wisconsin-Milwaukee. One increasingly likely casualty is the world's longest continuous study of a predator-prey relationship in one location. For 60 years, biologists have documented population shifts and interactions between gray wolves and moose at Isle Royale National Park in Lake Superior. Much of the data is collected during winter, when scientists use planes to observe the wolves forming packs, battling over territory and killing moose, but the team is shut out of the park. The seven-week mission isn't dead yet, but prospects fade daily. The loss of a season's worth of data would be "devastating," said Rolf Peterson of Michigan Technological University, the co-leader. "Continuity is what's at the core of a lot of observational science, especially long-term projects. At some point, the loss of continuity degrades the integrity and value of the work itself. And there are things that don't come around a second time." 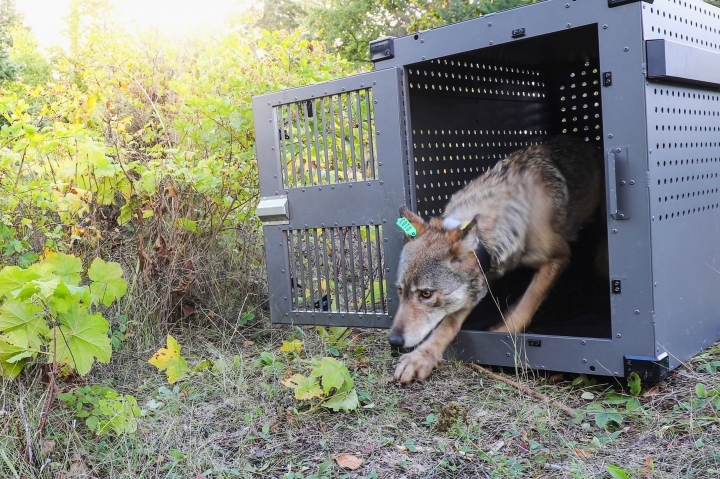 The timing is particularly bad because the park recently began a multiyear effort to replenish its wolf population, which had fallen to two. Four were flown to Isle Royale from the mainland last fall — one later died — and researchers planned to relocate several others this winter. Peterson's group also wants to dart 20 moose and fit them with radio collars to gauge their reaction to the arriving wolves. "Both of these projects, while partially supported by other funds, require National Park Service personnel and facilities to operate," agency spokeswoman Alexandra Picavet said. "Until there is an approved funding source to support those functions, both operations are suspended." Also at risk are the U.S. 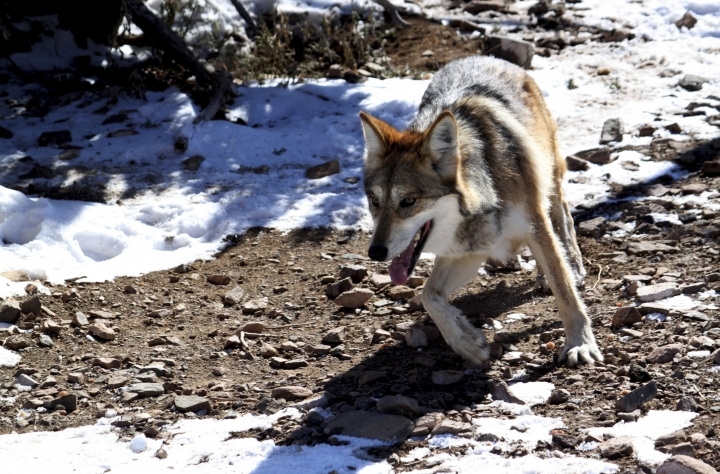 Fish and Wildlife Service's aerial surveys of endangered Mexican gray wolves in Arizona and New Mexico, which usually happen in late January and early February. A California mission to gather data on fish and study how climate change is affecting oceans, which began 70 years ago, also is in limbo. A research ship was reserved for this winter's operation, carried out by a federal, state and university partnership. But because it's owned by the National Oceanic and Atmospheric Administration, the San Diego-based vessel is off-limits until the shutdown ends. No suitable replacement is available, said program director Brice Semmens. Data gaps from a lost mission would be harmful because "the ocean is changing so rapidly now," he said. "We need to understand how these changes are going to affect populations we care about, like shellfish or Dungeness crab." The shutdown also is taking a toll on the next generation of environmental researchers. Federal scientists teach and monitor graduate students' projects at universities nationwide. Now, the schools may cancel some courses and students are worrying about graduating on time. Three experts with the U.S. Geological Survey teach in the wildlife and fisheries program at the University of Georgia, where a statistical modeling class was scratched because the government instructor isn't allowed to work, biology professor John Maerz said. "We depend on them being there; we build our curriculum and projects around them," Maerz said. "You can't replace that expertise." Many students are struggling to do research with federal laboratories and other facilities shuttered. Professors are hesitating to accept another class of graduate students because they don't know whether they'll get federal grants to pay the newcomers and fund their work. "I applied for a bunch of grants last year and am waiting to see if I'll get funding so I can determine whether to admit a grad student and if so, how many," said Andrew Dessler, an atmospheric scientist at Texas A&M. "The way things are going, I may not take any." Flesher reported from Traverse City, Michigan, and Webber reported from Chicago. AP reporter Susan Montoya Bryan contributed from Albuquerque, New Mexico.